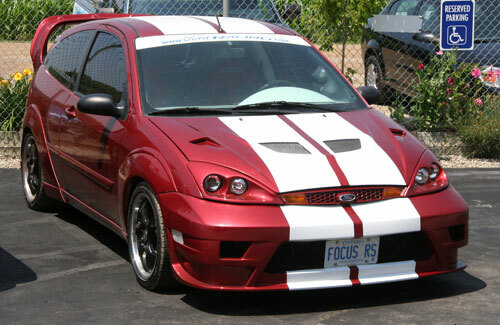 Started as a basic 5-speed car that we thought we could improve on. 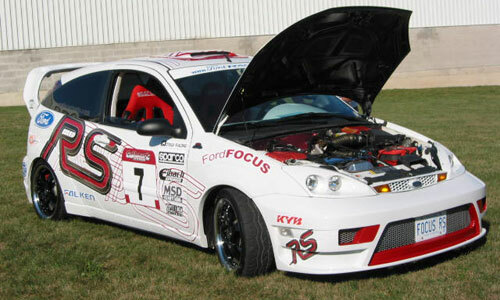 For starters we added a supercharger from Jackson Racing and a posi trac unit from Ford Racing and went from there. 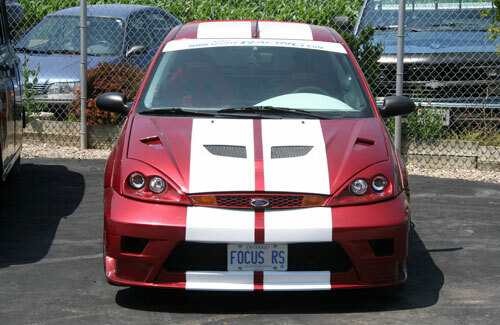 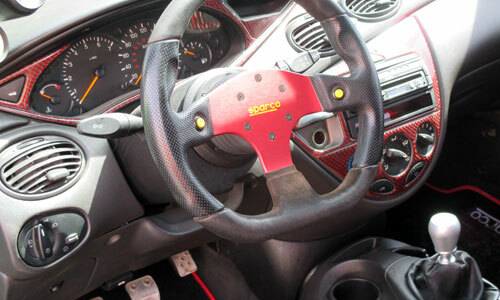 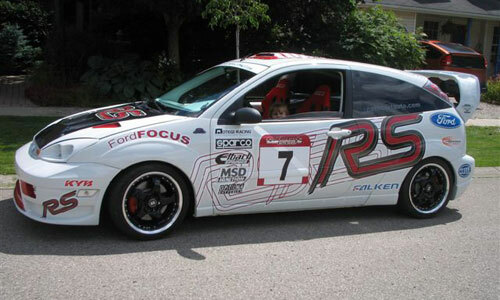 We styled the car from an actual Focus RS, painted the interior, added Sparco Racing seats, steering wheel and seat belts. 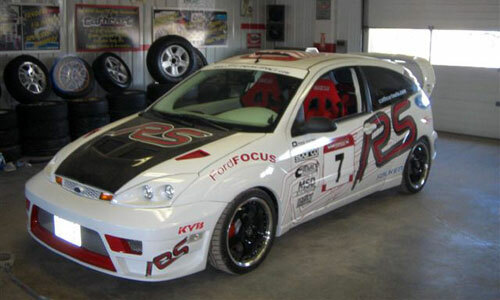 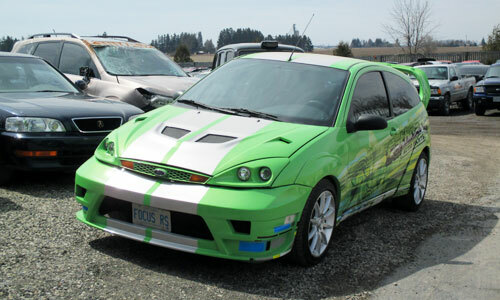 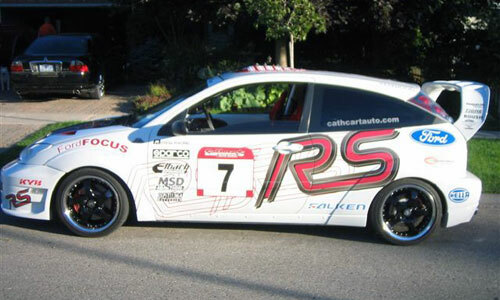 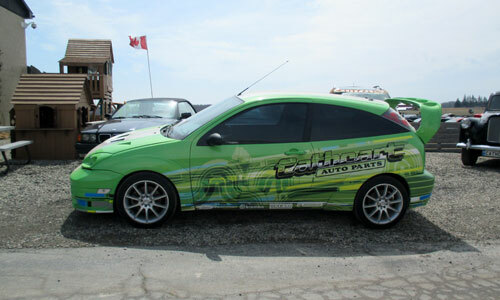 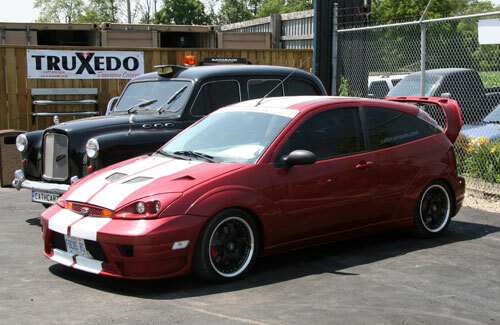 The body kit is from Wings West The decals were installed at Watters Graphics in Woodstock. 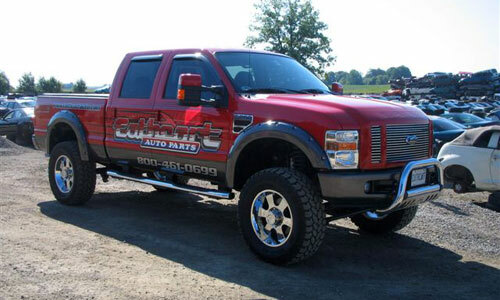 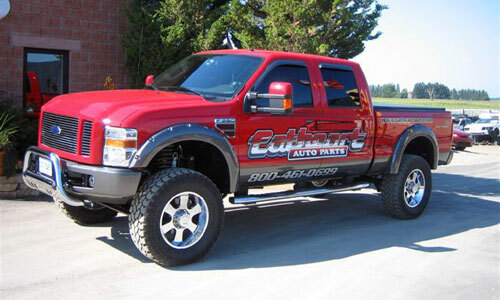 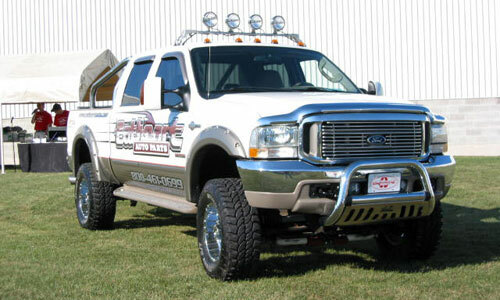 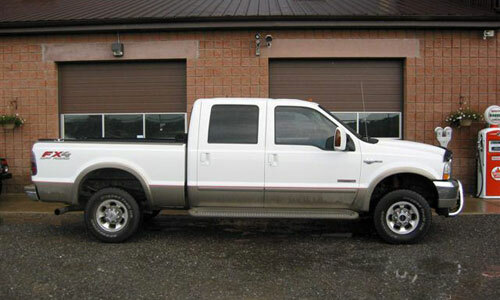 This 6.0 Power Stroke Turbo Diesel has the King Ranch package. 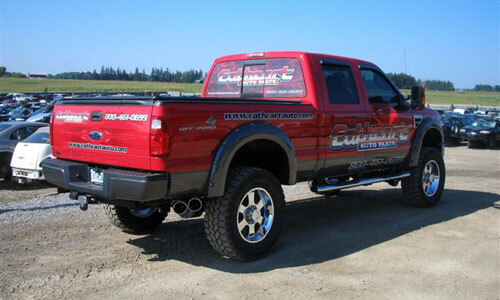 We've added a 6" lift kit from Rancho, Rancho shocks and Procomp steering shocks. 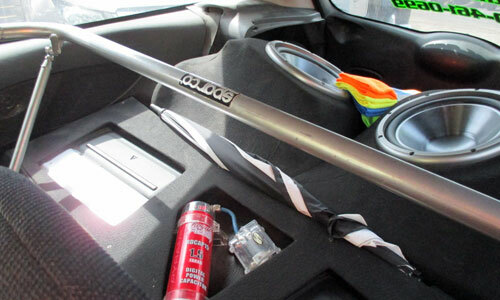 Magna-flow stainless exhaust from turbo back. 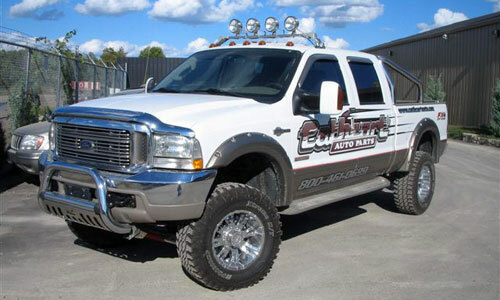 Bushwacker fender flares to accomodate the 35" tires. 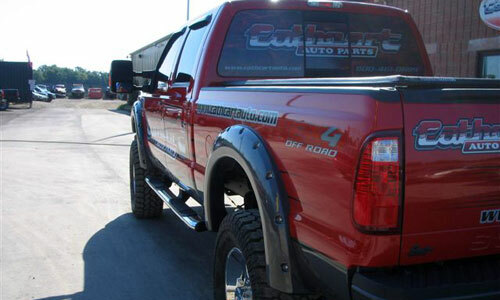 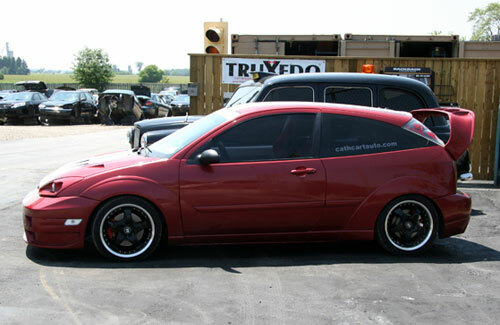 As well as Pro-comp 18" alloys with Extreme M/T tires. 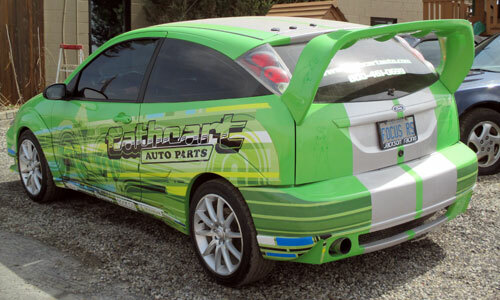 Also comes with Supersprings rear HD no sag springs. 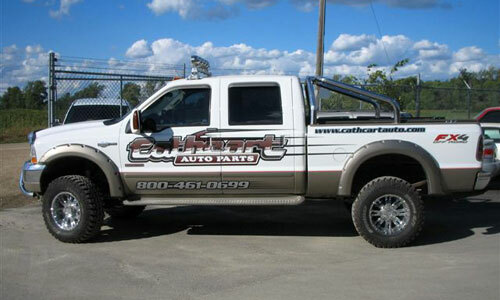 We sell and install all this at Cathcart Auto Parts. 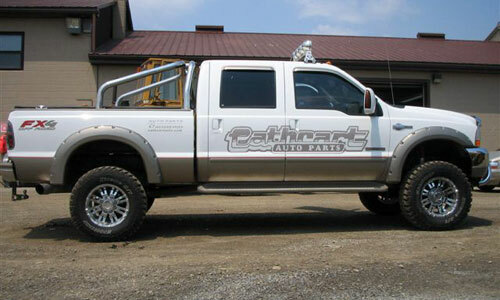 Stainless tool box with built in cooler. 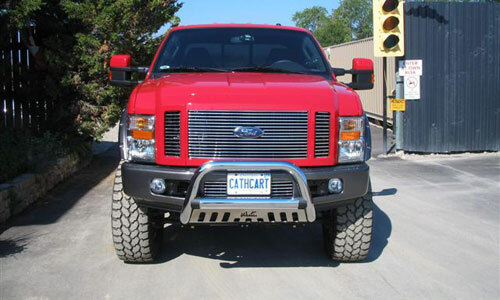 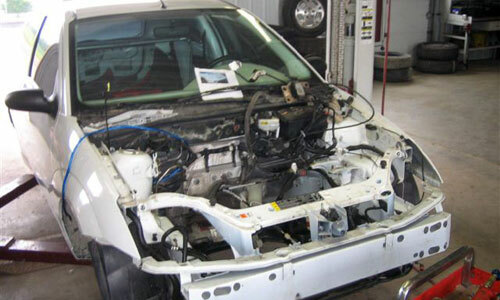 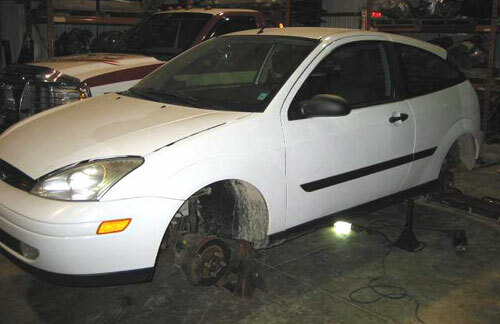 Remember... we sell and install these parts at Cathcart Auto Parts!